At Jacob’s Well, Inc. is a tax exempt, nonprofit, 501(c)(3) Maryland corporation, certified by the Secretary of State as a charitable organization. Operating funds come from a variety of sources including individuals, churches, government, and foundations, as well as the program service fees of residents. At Jacob’s Well is directed by a volunteer Board of Directors and Officers. Program operations are managed by a professional staff. At Jacob’s Well, Inc. does not discriminate in employment or services, and is not affiliated with any religious organization. At Jacob’s Well, Inc. was founded in 1985 and incorporated in 1986 to serve the poor of Baltimore City, especially the homeless and mentally ill. At Jacob’s Well takes on human scale projects that meet a need not being directly addressed by other agencies. Past projects have included street outreach, a feeding van, the Boots for Baltimore Program, and housing for mentally ill homeless persons. As most of these needs are now being met by other agencies, At Jacob’s Well now concentrates on providing housing and supportive services to low income, mentally ill men and women. In March of 1986, At Jacob’s Well opened its first transitional residence, which housed four formerly homeless, low-income, mentally ill men. A house for women was soon opened. The transitional program grew slowly over the next eight years. Our seventh house, designed to accommodate persons with physical as well as mental disabilities, opened in 1994. The transitional program now provides homes to 15 mentally ill men and women. 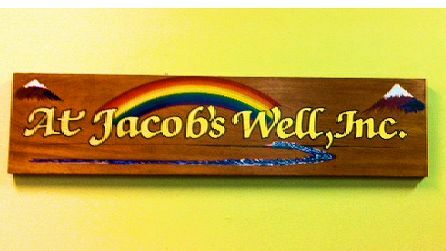 At Jacob’s Well began its permanent housing program in 1998 for ‘graduates’ of our transitional program. This permanent housing program now provides subsidized apartments for nineteen residents. Some of these apartments are in buildings owned by At Jacob’s Well. 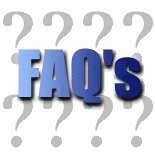 For answers to Frequently Asked Questions about At Jacob’s Well, click on the FAQ link below.